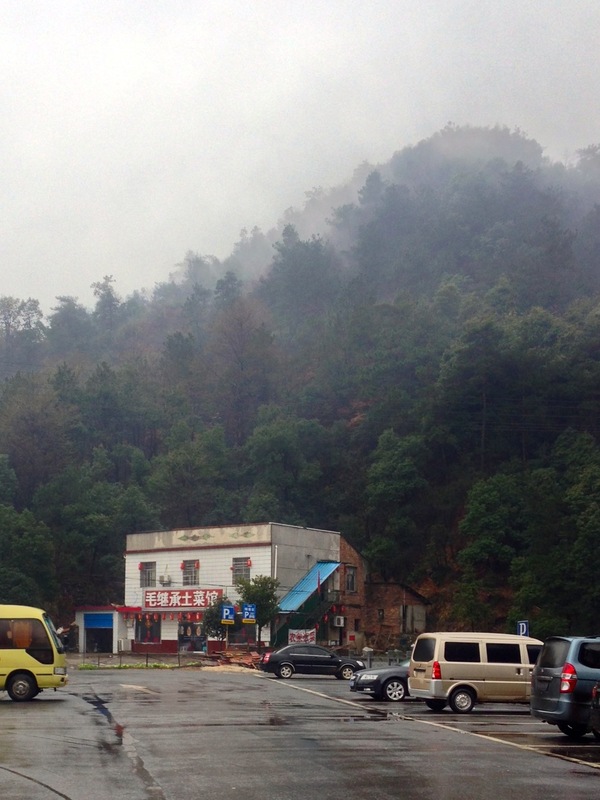 ShaoShan 韶山 is the home town of Chairman Mao. 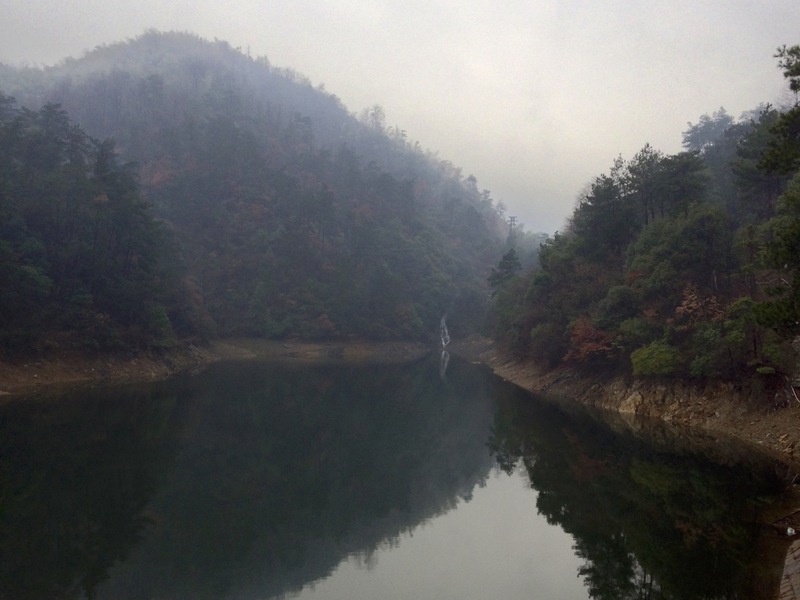 Hunan is a region with fair weather and an appetite for spice. 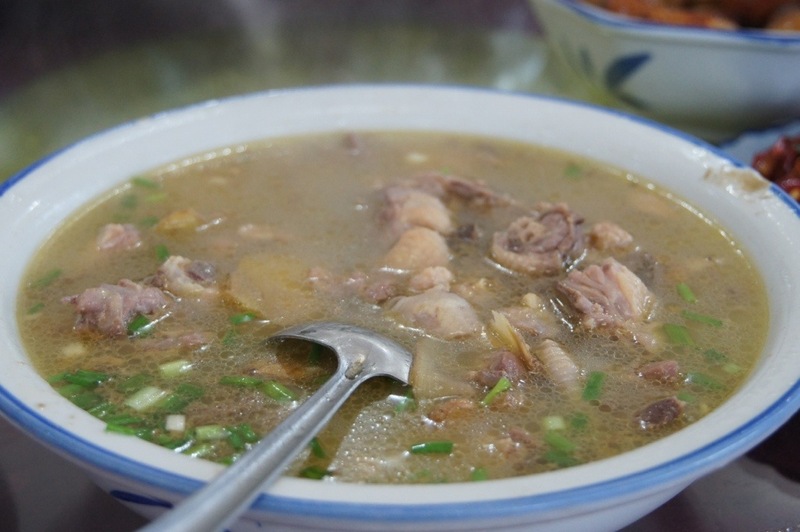 And Xiang 湘 cuisine is considered one of the 8 main sects in China. 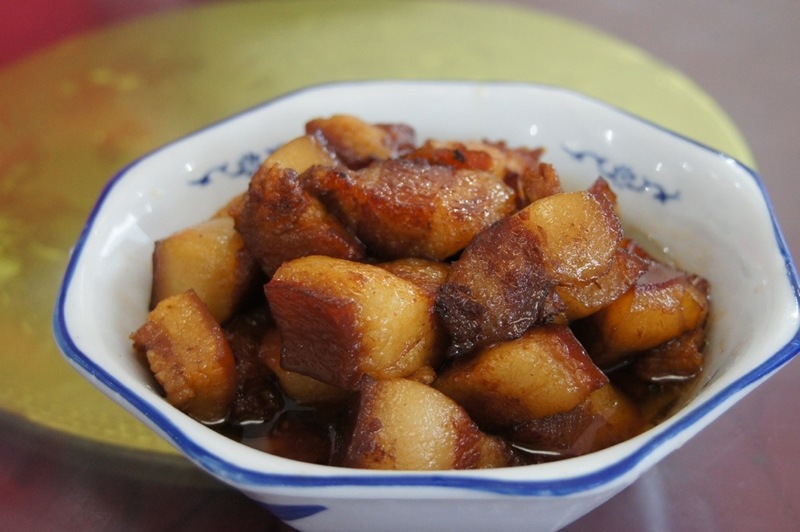 And in ShaoShan, there are many restaurants that offer the childhood favorites of Mao. Most of them are quite standard home cooked meals – nothing fancy and elaborate, the chefs were most likely got their training from their parents. This was one of them, unpretentious, simple, wholesome. No trip to the hometown of Chairman Mao would be complete without trying out the (in)famous Chairman Mao’s Braised Pork Belly. And do not have any fantasy about what this dish is about. It is simply taking the fattest cut of pork and braising it a concoction of savoury sauce and spices. Every mother has her own recipe. But what was consistent in this part of the world was the amount of fats that were on these pieces of meat. Not for the faint hearted or the cholesterol laden, the presentation left nothing to imagination. You would expect every mouthful to be filled with so much grease that you would just puked it out immediately. No, due to the slow braising process, the fats had transcended into a creamy texture that melted in your mouth. The grease had seeped quietly into the broth leaving behind a piece of pure heaven. 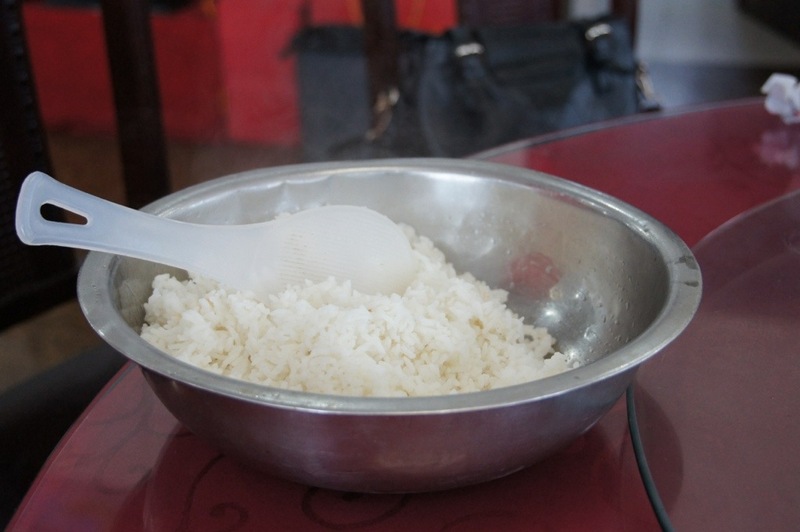 But still one cannot ate too much of this without the perfect sidekick – steamed rice. And rice was supplied in abundance. Yes, the restaurants here did not charge the rice per bowl, but per person. And you can eat all the starch you want. Francolin is the Chinese cousin of the pheasant and can be found running the hills of Shaoshan. According to ancient Chinese medical books, Francolin helps in reducing “heat” (i.e. cooling properties) and is most suitable for easing phlegm. Of course, they are not big birds and after being chopped into such small pieces, one cannot really made out what the texture or taste was like. There were 2 types of chilli used here, the fresh red variety and the green vinegared jalapeño. 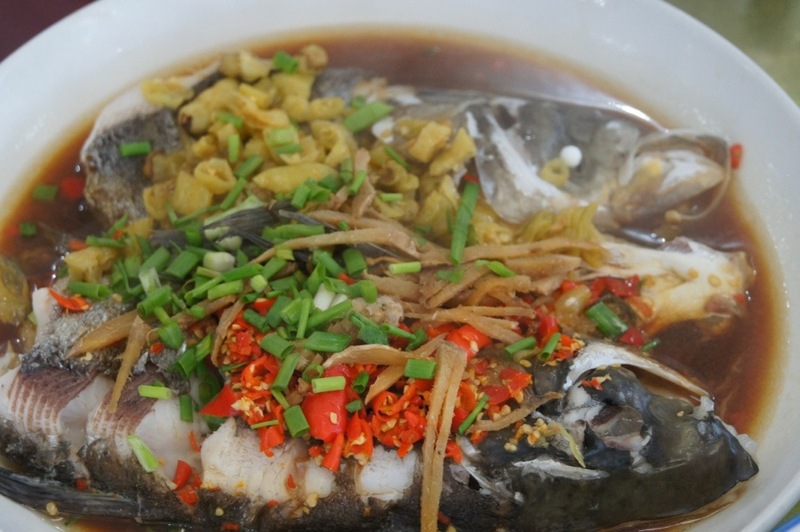 So you get the sharp jalapeño and feisty red chilli working together with black bean paste and garlic to provide the taste to a fish head that was quite muddy in taste. Fresh water fish of this size was not my choice of fish, but the carp head inherited the taste of the condiments and came alive, bursting with taste. And to wash it all down was a hot pot of chicken soup, free-range chicken no less. But it turned out that the favourite dish for the day was a simple stir-fried vegetable. 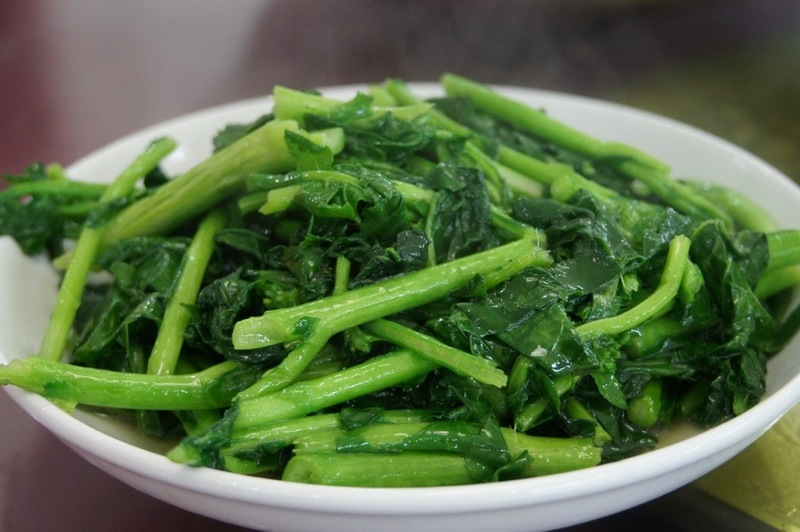 The chef cannot even tell me the exact name of this vegetable (which looked to me like a variation of the HK Choy Sum). It was grown right outside in the field next to the restaurant, together with the chicken in soup and the francolins in the woods. The vegetable was crisp and sweet, naturally irrigated using spring water from the mountains. Nothing you get in the city come close to the organic ingredients that went into this meal. Mind you, it was not a cheap experience, the meal costed RMB 480 (for 4 pax) without any alcohol. This was not a fancy restaurant, just the living room or a ground floor space in a village house. Ingredients were taken from whatever was grown, raised or collected around the place. 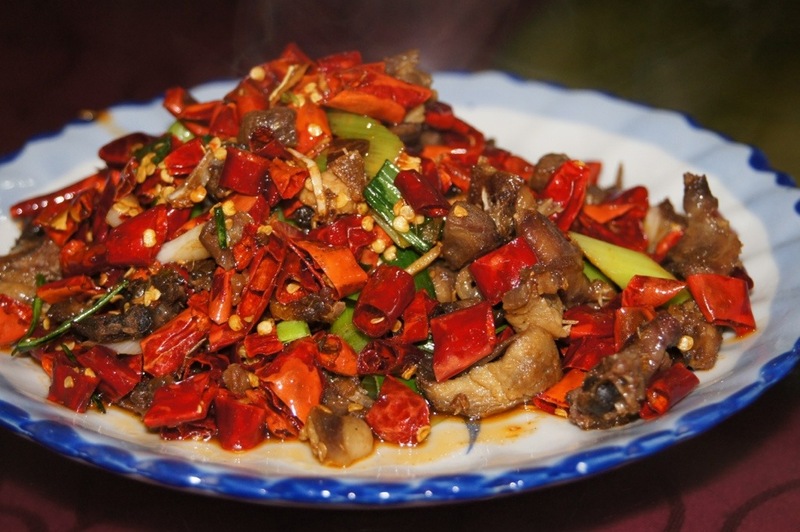 But since you are in Shaoshan, you cannot leave without trying the Mao’s restaurants around here.